READ, WRITE AND DON’T DAYDREAM! Some people stack books widely in haphazard fashion beside their beds with volumes they would like to find time to read, while others spend time daydreaming of the best way to store and display their prize volumes of the printed word. The heading above is fifth of ten points, that PD James offered by way of advice for would-be writers, in an interview with Alison Feeney-Hart for the BBC. She suggests that people should read widely. Now, I have been known to do just that – read very widely that is! 1/7 reproduction of the Bayeux Tapestry, an historical record created in 11th century, it is the only masterpiece of its kind in the world. An embroidery on a linen cloth using wools of various colours, it is over 70 metres long and 50 centimetres high and retraces the history of the conquest of England by William the Conqueror. Since my post for the LBC last week (which was actually written in September) I have made a decision – To retire from the group and not take part in future weeks. When I was invited to join the group at the inception of the Consortium back in July 2009 I dithered. Why? I take all commitments seriously and for me, this one was as important as any other. Do the work and show up on time, come hail, rain, drought or thunder! Yes, I dithered quietly to myself for a couple of days: Would I find the words or even know the words, to convey my thoughts on the topics chosen by the wordsmiths Conrad, Ashok & Ramana? I was supposed to follow those lads, and the four of us post our efforts at the same time every Friday. We worked in that order for the first few months. Conrad set the ball rolling with Creativity. C R E A T I V I T Y! Yes, my internal butterflies proved correct. The three boyos each presented a thesis worthy of an academic degree and I wrote about sewing! At that stage, the topic for the following week was chosen only after the previous one had time for the paint to dry. Sometimes the prompter forgot until close to the date for publication, that it was their turn to throw in the topic. I panicked! I needed time to think because my mind works best in slow motion. Thus the topic list came into being. The LBC family began to grow faster than an Irish family in pre central heating days! Over time we had eighteen members. Everyone had their opportunity to throw in ideas. Then people began to drift. Family situations, health issues, work, broken computers or lack of time or enthusiasm, took them away. Some resigned, some evaporated, but the core held on. I have to admit that I found writing on topics chosen by people who had disappeared or moved on, very uninspiring. I missed reading how they would approach or present their particular topic. In the past year I have struggled, really struggled to stir my pot of enthusiasm across the board of my blogging. I want to make changes – perhaps post randomly for three days a week for a little while. I know that if I pull the plug completely on the blog at this stage, I would not come back. That would be unfair to Elly, Darren, Anto and Phil and maybe others who have voluntarily given time to work on bringing my old blog of almost three thousand posts, up to date and try merging it with over 800 posts written here. Delirious, at Life on a Limb, has already written a post of resignation, she wants to take her blog back on the path she had originally chosen. I was but a tiny cog in the wheel of the Loose Bloggers Consortium and as with all life, the LBC will go on without me and flourish. I wish the LBC members all the best for the future and may their words flow easily! To all the members, present and past, I thank you for your friendship and all the wisdom I gained from your writing. I will continue to drop by and catch up with you and wish you well for the future. This entry was posted in Loose Consortium Blogging and tagged Books, farewells, LBC, Loose Blogging Consortium on November 22, 2013 by Grannymar. Retribution is something given or demanded in repayment, especially punishment. The anger that causes us to seek retribution can so quickly become a cancer of bitterness. If we dispense or exact punishment from someone for doing something we consider wrong, are we not as diseased as we assume them to be? The topic Retribution was brought to the LBC table this week at the suggestion of Maria/Gaelikaa, for our consideration. I look forward to reading what she has to say on the subject! This entry was posted in Loose Consortium Blogging and tagged LBC, Loose Bloggers Consortium, Retribution on October 25, 2013 by Grannymar. The science of translating sound into electrical signals, transmitting them, and then converting them back to sound; that is, the science of telephones. We have come along way from the days of a telephone that weighed a tonne, was attached to the cable carrying the incoming signals and placed on a special table a few feet from the main entrance of fortunate homeowners who had such a device. Like the early Model T Ford motor cars, you could have any colour you wanted, so long as it was black! 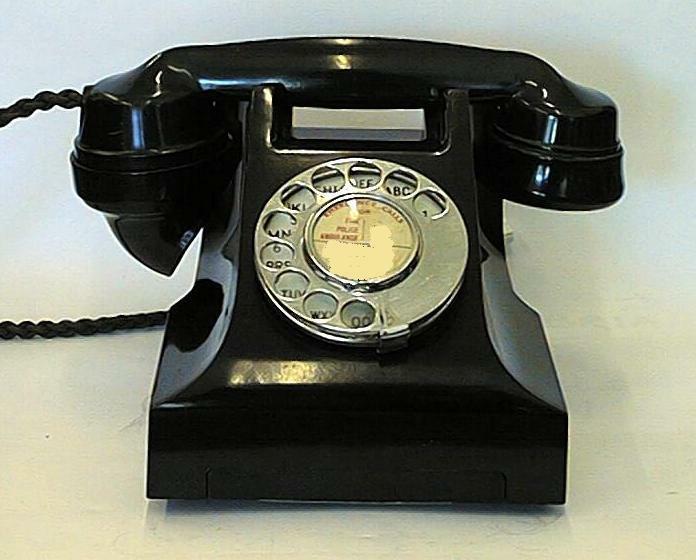 Our phone from the 40s,50s and 60s was like this. In fact my sister still has it somewhere at home. 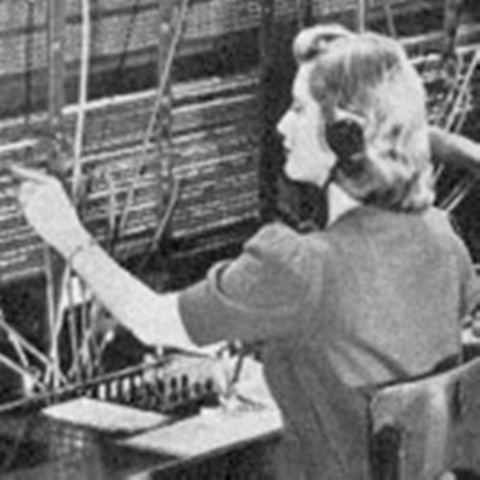 Today the term telephony is used frequently to refer to computer hardware and software that performs functions traditionally performed by telephone equipment. For example, telephony software can combine with your modem to turn your computer into a sophisticated answering service. Voice mail, text messages and e-mail, are other popular telephony applications, meaning we can be reached at any time from any point on the globe, 24/7. In the technological world of today we now have mobile phones weighing little more than 100g and measuring about 5 x 124 x 8 mm. Most children have their own mobile phone by the age of 12 or when they are starting secondary school. Some children as young as five, have their own phone. We are worlds away from the middle 1960s, when working as a telephone operator, sitting in the Main Telephone Exchange, on the first floor, over St Andrew’s Street Post office in Dublin, Ireland, I was asked to connect an incoming caller to a number in Garristown. Garristown was/is a village just twenty miles north of where I was sitting, yet a world apart. It was the days before STD – NO! Not STDs. I am talking about Subscriber Trunk Dialling. I had to call the operator in Garristown Post Office and ask to be connected to the number. In those now far off days, the operator usually lived on the premises. You could hear her turn the handle to connect to the house required. Two particular calls to Garristown come to mind. The first attempt must have taken thirty five minutes – the time it would now take to travel the distance by road – There were several episodes of the handle whirring, before the ‘Voice of Garristown’ (that would waken the dead, never mind a neighbour half way up Main Street), announced: “They must not be getting the ring, I know they are at home, so hold on while I run up and see why they are not answering”! Thankfully, my caller was patient and prepared to wait. It seemed an age before the breathless voice announced. “I’ll put you through now”! On another evening, around 7.30 pm, I tried to connect a caller to another number (all single or double digit numbers) when the ‘Voice of Garristown’ announced “You will have to call back later, you will not get them now, the mission is on. The priest this year is very long winded, so they’ll be gone for about two hours”! The annual two week Mission/Retreat was being held in the local church and everything stopped for the duration! With the arrival of computers and the transmittal of digital information over telephone systems using radio to transmit telephone signals, Our lives have changed. International or other long-distance calls are much less expensive than through the traditional call arrangements. We now have the ability to send voice messages along with text, chat or e-mail instantaneously to any part of the world, without the aid of a ‘Voice of Garristown’ character in the middle of it! With a miniscule mobile phone device surgically attached to our hips, (metaphorically speaking), we leave constant signals of our travels. Recent stories of missing persons have shown how those very signals helped in finding the area where a victim has last been heard from. The aftermath of the 7/7 bombings in London, found another use for mobile phones. Amongst the carnage several mobiles were found scattered about. On a few occasions these phones were the only way of knowing who had been lost in the horribleness of the day. Can you conceive the difficulty the emergency and police services had in finding out the owners names or in trying to notify their families? Do they scan down the list of contacts for an entry for ‘next–of –kin’? Mum in the early stages of dementia, who never remembers to switch the phone on? We should ALL be using ICE. It is not only for our drinks! Following the above mentioned disaster, the emergency services suggested that we all add an ICE number to our list of contacts. In Case of Emergency – The name and number of the person you want contacted should you be run over by the proverbial bus, collapse in the street, or a disaster of major proportions occur. You need to think well about the person you select. You need someone level headed and dependable. A person who knows more about you than your name. They need to know if you have any major health issues, take medication and if possible the name of your doctor or the practice you attend. Please be sure to ask their permission or at least tell them you are listing them as your ICE number. Now while you are at it, if you have elderly parents, children, or grandchildren with mobile phones, why not talk them through adding an ICE number to their phones. It could save their lives! I have a touch screen phone, so my ICE number is visible on the screen and easy to access. Yes, It is Elly. At the back of a passport there is a page to give the details of a Next-of-kin, so why not on a phone? We all carry phones these days , but not everyone has or carries a passport everywhere they go. It might save our lives! This interesting topic Mobile telephony was brought to us this week at the suggestion of Ramana. I hope you find it helpful. This entry was posted in Loose Consortium Blogging and tagged Garristown, ICE Numbers, LBC, Loose Blogging Consortium, Mobile telephony, Telephonists on October 18, 2013 by Grannymar. Going grey – Half way there already. Wrinkles – I prefer to call them my character lines. Putting on weight – With a body mass index of 21.31, I have no need to worry about weight. The dark – Living on the edge of a small town, I am surrounded by light of some degree 24/7. Spiders – I am way bigger than them so no need to worry. Mice – See answer to no 5. Falling – Why worry, I have little left to bruise or break. Dying – Why fear it, we are all going the same journey, at different speeds or modes of transfer. Death – When it happens, I will know nothing about it. So, no I have no fear, great or small. I wonder what Delores, at Life on a limb had in mind when she chose the topic My greatest fear for us to chew on. We have reduced the LBC list (in the side bar) to those who are writing with us on a regular basis. As others return, I will add them to the list. 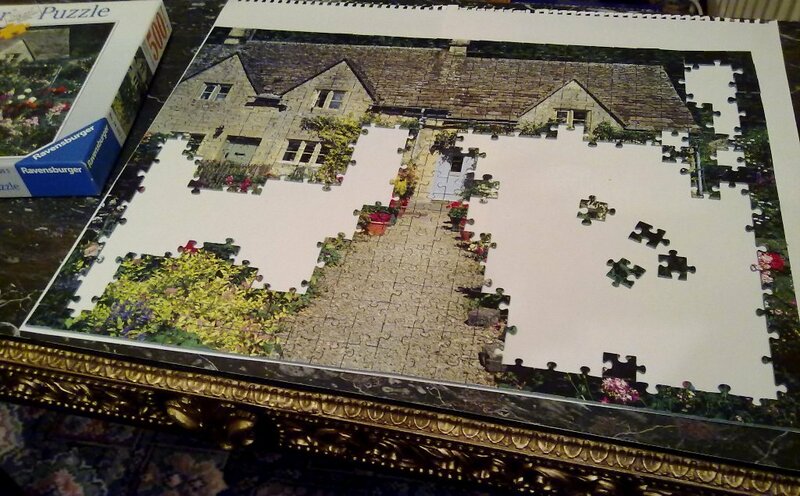 This entry was posted in Loose Consortium Blogging and tagged Fear, LBC, Loose Bloggers Consortium on October 11, 2013 by Grannymar. Ego – The False Center, is how Osho describes it, in From Beyond the Frontier of the Mind. I have travelled hopefully all my life, alas recently there have been times where I either did not arrive, or arrived in a different place or condition. Before you ask:- No drink was involved on any of these occasions! I think it was Pope Francis who said: “egoism” has grown much more than “love of others”. I think it is time for us to take lessons from the animals of our world…. Mrs Peggy Mangan, 65, suffered from Alzheimer’s. She left her home on Mount Tallant Avenue in Terenure, Dublin, at 11 a.m. on Tuesday morning 22nd September, to walk her King Charles spaniel. She didn’t return home and the family notified the Gardai. * The Gardai sought the help of the public through all social media outlets, volunteers rallied and a search began. Mrs Mangan’s body was found under a tree in grassy wasteland beside Ikea shopping centre in Ballymun, on the north side of Dublin, in the late afternoon of Saturday 26th September. FOUR days after she left home. Casper, her pet King Charles spaniel was found standing over the body when police made the discovery. The dog was taken to an animal rescue where it was diagnosed as starving and dehydrated. Casper died a few hours later. I was walking Buffy on the occasion of my last fall. Buffy is always ready to make an escape to explore the world around her. As I hit the ground the handle of her lead left my hand. Hearing the sound of the handle hitting the ground, Buffy turned to see what had happened. She returned to my side immediately and stayed beside me until a man arrived to help me to my feet and take me back to Elly & George’s house. Buffy led the way. For the remainder of my stay Buffy never left my side. She followed me about the house, but never walked across my path or got in my way. She was minding me. Our unconditional LBC leader, Conrad, had the choice of Ego for us to play with today. He has been rather swamped with work (a good way to be in these difficult times) and family commitments, in recent months. I do hope he finds a small window to joins us this week. The links to all the Loose Blogging Consortium members are over in the sidebar, alas not all are active these days. Do you think some of them have fallen asleep? * the Gardai or ‘An Garda Síochána’ to give it the full official title, translates as “the Guardian(s) of the Peace”, is the police force of Ireland. This entry was posted in Loose Consortium Blogging and tagged Alzheimer’s., An Garda Síochána, Ego, From Beyond the Frontier of the Mind, LBC, Loose Blogging Consortium, Osho, Pope Francis, Robert Louis Stephenson on October 4, 2013 by Grannymar.